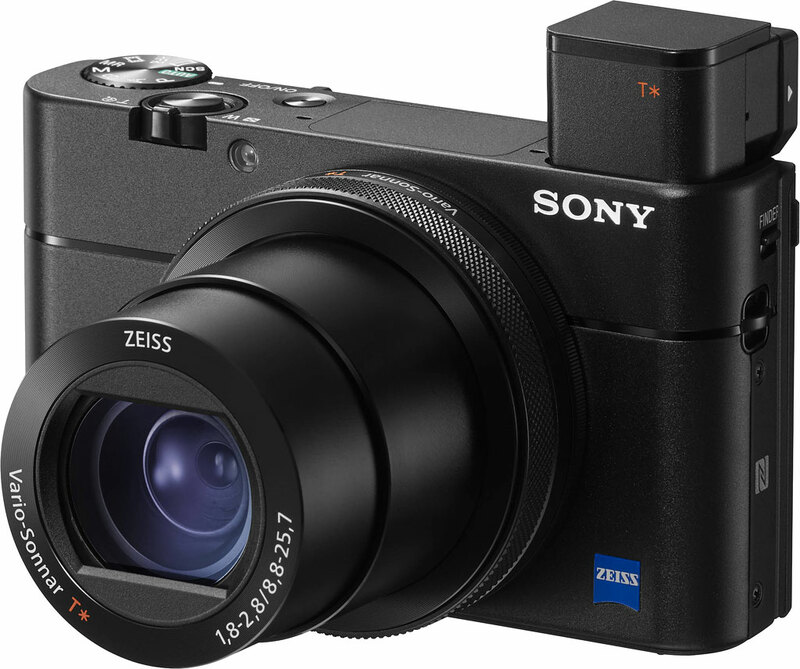 The RX100 V brings a new level of AF performance and speed to compact cameras. It is equipped with a fast hybrid autofocus system – the world’s fastest1 - that combines the respective advantages of focal-plane phase detection AF and contrast detection AF that ultimately enables the camera to lock focus in as fast as 0.05 seconds2. High speed focusing is a perfect complement to the world’s highest number of dedicated focal plane phase detection AF points on a compact camera. The 315 AF points - that cover 65% of the RX100 V’s 1” sensor - ensure that shooters will be able to capture their intended subject with high speed and accuracy, even if it’s moving rapidly in unpredictable directions. This large 1” (1.0-type) stacked back illuminated Exmor RS image sensor with DRAM chip not only enhances efficiency and speed of A/D conversion through its stacked structure with more circuit sections; it also realizes super-fast readout speed - thanks to a DRAM chip integrated into the sensor structure. Together with the BIONZ X processing engine and front-end LSI, it allows for stunning 20.1-megapixels at up to 24fps3 continuous shooting, blazingly fast shutter speed of up to 1/32000 sec., breathtaking 4k movie and super slow-motion HFR (High Frame Rate) movie clip recording of up to 960fps (40x), not to mention remarkable low-light low-noise capability. The new RX100 V maintains the convenient pocket-sized design of the remainder of the RX100 family and is equipped with a high-contrast 2.35 million dot XGA OLED Tru-Finder electronic viewfinder, ensuring true-to-life image preview and playback functionality. The EVF conveniently retracts in and out of the camera body and features optics with ZEISS T* coating that greatly reduces reflections. It has the ability to deliver continuous live shooting at up to 8fps - making it easy to track fast moving subjects. This offers photographers a shooting experience with the immediacy of an optical viewfinder, while still offering all of the benefits of an electronic viewfinder including a live preview of exposure, white balance and several other camera settings. High-quality 8-megapixels stills can be extracted from 4K video6 and 2-megapixels from Full HD video in camera during playback and stored as separate file son the media card. Selfies have never been easier with a beautiful 3” (1,229k dots) Xtra Fine LCD Display that rotates in multiple angles. This also makes it easy to photograph over crowds or low to capture pets eye to eye by swinging up approx. 180° and down approx. 45°. Easily scroll through menus and preview life thanks to WhiteMagic technology that dramatically increases visibility in bright daylight. The large display delivers brilliant-quality still images and movies while enabling easy focusing operation.